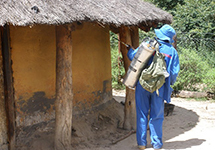 Zimbabwe - Where We Work - International Health - John Snow, Inc.
Beginning in the mid-1980’s, JSI has worked to improve health systems in Zimbabwe. 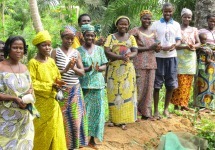 JSI’s first project in the country was the USAID-funded Enterprise Project, which improved and increased access to family planning services through private-sector health providers. 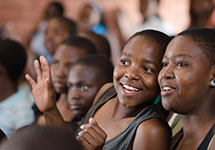 Since then, JSI has continued to be a leader in Zimbabwe in the fields of family planning, HIV and AIDS prevention and treatment, health and educational support to orphans and vulnerable children, maternal and child health and immunization, supply chain strengthening for life-saving health commodities, and research, monitoring and evaluation, among others. 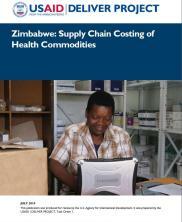 JSI works hand in hand with the Zimbabwean Ministry of Health and Child Care (MOHCC) in support of activities implemented at national, provincial, district, and community levels. 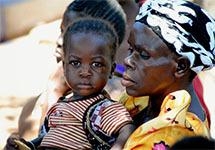 JSI’s Maternal & Child Health Integrated Program (MCHIP) supports MOHCC-led initiatives in the areas of maternal, newborn, and child health, new vaccine introduction, malaria, nutrition, health information systems, quality improvement, and health policy. 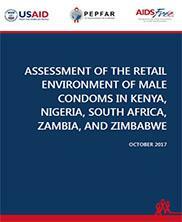 JSI’s global AIDSTAR-One, and now AIDSFree, projects have contributed extensively to research on the HIV and AIDS epidemic in Zimbabwe. 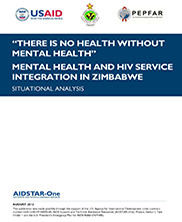 AIDSTAR-One research focused on scaling up voluntary medical male circumcision and integrating HIV services with mental health services, among other topics. 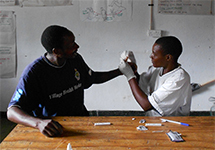 AIDSFree is currently working with local partners to plan a pilot assessing the impact of a peer counseling intervention on rates of adherence, retention in care, and virologic failure among HIV-infected adolescents in Harare. Results are expected in 2016. 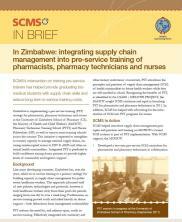 The USAID | DELIVER PROJECT and Supply Chain Management System (SCMS) focus on HIV and AIDS, as well as other public health challenges, including tuberculosis (TB) and malaria. 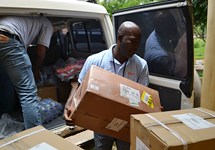 The USAID | DELIVER PROJECT and SCMS work in collaboration with the Ministry of Health and Child Care (MOHCC), NatPharm, and other partners to strengthen public health supply chain management for supplies related to HIV prevention, treatment and care – antiretroviral therapy, and male and female condoms for preventing transmission – TB drugs and laboratory supplies, malaria drugs and rapid diagnostic tests, male circumcision commodities, and primary health care packages. 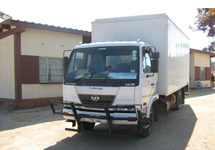 JSI’s office in Zimbabwe was awarded the USAID Office of Science and Technology Pioneers Prize (2013) and named a finalist for the Council of Supply Chain Management Professionals Supply Chain Innovation Award (2014) for its innovative Delivery Team Topping Up (DTTU) initiative implemented by the USAID | DELIVER PROJECT and SCMS, which provides a reliable supply of family planning and HIV and AIDS commodities to some of the hardest to reach areas in Zimbabwe. JSI has also partnered with World Education to implement the Children First and Vana Bantwana projects, focused on strengthening proven programs and developing new models for care and support of orphans and vulnerable children (OVC) in Zimbabwe. JSI is supporting IVCC with forecasting NGenIRS requirements, and setting up sustainable IRS forecasting processes through conducting regional workshops and developing a forecasting tool and guide. 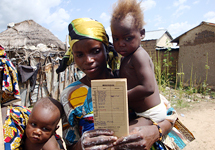 Community case management of malaria helped reduce illness and death in pregnant women and children in malarial zones. 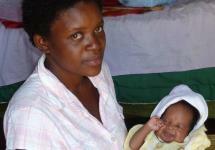 Maternal and Child Health Immunization Project (MCHIP) staff in Zimbabwe are, in addition to experienced program managers and trainers, skilled health care providers. 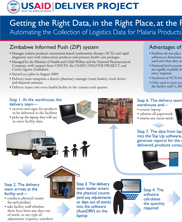 The USAID DELIVER PROJECT employed commercial delivery methods to provide a steady, accurate supply of health commodities to hard-to-access regions in Zimbabwe. 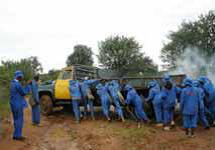 As Zimbabwe diverts its resources to a cholera crisis, The USAID DELIVER PROJECT steps in to manage the logistics around a pesticide spraying initiative which will save many from malaria.